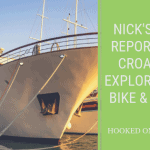 If you have any general questions or any holiday enquiries that have not been answered on our FAQ page then you can either email us at info@hookedoncycling.co.uk or fill in the form below. Please advise us which tour(s) you are interested in. By checking the “yes” box above you are agreeing to join our mailing list. You can unsubscribe at any time by following the instructions on any newsletter. Welcome to Hooked on Cycling and our road bike cycling holidays in England. This biking vacation in northern England will allow you to experience by race bike the English Lake District, the Pennine Hills and the Scottish – English Border where the Romans constructed Hadrian’s Wall. Hadrian constructed the wall to keep the Pict’s out of Roman Britain. Once in the Lake district, you shall have two wonderful loop rides to choose from in the National Park. The English Lake District was formed during the ice age, is the UK’s most popular region for outdoor activities and holidays, once there, you see the stunning scenery and you will know why. The cycle tour then takes you across the Pennine hills via the sea to sea cycleway route. Just west of Newcastle upon Tyne your bike tour turns back east and follows partly the Hadrian’s Wall and into the south section of the Northumberland National Park. Here the scenery is relay stunning. You shall pass through Haltwhistle which is known as the town in the centre of Britain, before heading onto Carlisle via the historic village of Gretna Green famous for its weddings. This truly is a road bike experience with superb natural vista’s, wonderful friendly accommodation and historic treasures to visit, of course providing you have time during your epic rides. You cycle tour starts in the city of Carlisle. You can easily reach this from airports in Newcastle, Manchester or Liverpool when you can then take a train. On the Border with Scotland and England, Carlisle is an ideal location to start your bike vacation. Hadrian’s Wall passes directly through the town, it has a medieval castle and cathedral. It is well worth exploring before your ride starts. Today you leave Carlisle and head west along the west section of Hadrian’s Wall and along the coast towards Whitehaven. Just south of Sillouth you start to cycle inland towards the northern Lakes. Through the market town of Cockermouth. Cockermouth has an association with several famous persons such as the poet William Wordsworth. It was also once a Roman camp with strategic access across the River Derwent. During Norman time as the castle was constructed and the town grew during this time outside the walls. It is a lovely place to stop for at least a coffee and the last section of your ride includes the climb over Whinlatter Pass to Keswick. Now in the English Lake District, you can start to explore by road bike the National park. Today you shall cycle pass beside Derwent Water, through the tiny village of Rosthwaite and Borrowdale before the steep ascent over Honister Pass at around 300m, indeed some sections are 20%. At the top, you shall find the slate mines. You now descend to the valley and cycle beside Buttermere and Cummock Water. Maybe after a lunch stop, you continue cycling north to Cockermouth again. Visit the lovely market town before following the River Derwent to Bassenthwaite Lake and onto Keswick. This is a lovely varied ride of climbs and undulating countryside. Today you cycle east out of Keswick before cycling south down John’s Beck to Thirlmere. Now you cycle around Thirlmere, along a very pretty minor road. You shall continue south via Grasmere, Elterwater and Skelwith Bridge to Ambleside. Here you can take a well-deserved break before the final push over Kirkstone Pass before dropping down to Ullswater and back to Keswick. Kirkstone pass is a major climb, quite steep in places but will be a challenge even for the fittest rider. Today you leave behind you the English Lake District as you cycle eastwards. Your journey shall take you through Penrith with its grand castle as you cycle over the North Pennine Hills along the Sea to Sea cycle route. It is fairly undulating passing through Penrith then after Huddlesceugh you start climbing up the Pennine Hills to Alston. Alston is one of the highest towns in England but thankfully the wind is normally from the west and hence will push you up the climb!. The first part of today is through a remote part of England as you cycle across the valleys descending and climbing again. Son after passing a few Pennine towns you shall start the long gentle descent towards Newcastle upon Tyne. Your overnight in Ryton is to the west of the city. If you wish tonight you could take a taxi into the city and enjoy some nightlife but remember tomorrow you also have to cycle! Today we cycle leaving the city of Newcastle in a northwesterly direction heading towards the Northumbria National Park and Kielder forest. Cycling along quiet country lanes you shall arrive in Bellingham the gateway to the forest. This is an ideal place for a spot of lunch. This area is well known in the 13th to 17th century as the Border Reivers. This was the name given to the raids made across the Anglo-Scottish Border by the local people. Local Borders Laws meant that if you were raided to have 6 days to raid over the border to retake your goods which had been stolen. Now heading south down-stream along the North Tyne river until you reach Hadrian’s Wall. Now we shall head east along Hadrian’s wall cycleway towards your destination Haltwhistle. Along the way, you can stop and explore the Vindolanda Roman Fort. Today leaving Haltwhistle we cycle towards the Scottish border crossing just before Newcastleton into Scotland. Newcastleton is a remote borders village dating from 1793. Now we climb out of Newcastleton on a remote road eastwards. We descend steeply to Langholm. Langholm was the birthplace of one of Scotland’s best known modern-day poets, Hugh McDiarmid. Leaving Langholm we cycle back towards the English border, but before crossing you can visit Gretna Green, with Blacksmith shop which is famous for runaway weddings of the English and has been holding weddings since 1754. Young English lovers used to come over the border as the minimum age for marriage was lower in Scotland compared to England and Wales. After maybe a romantic gesture you now continue south to Carlisle and the end of your tour. Your tour ends after breakfast. Tariff 2019 – For complete tour price breakdown please click the book now button and select your holiday tour date. Prices will then be listed. We have available aluminium road bikes with carbon forks and full carbon road bikes. It is a requirement of booking this tour with Hooked on Cycling that you have suitable travel insurance which covers you for the chosen activity and for emergency evacuation and hospital care. To Newcastle airport and then by train to Carlisle. To Manchester to Liverpool airports and then by train to Carlisle.